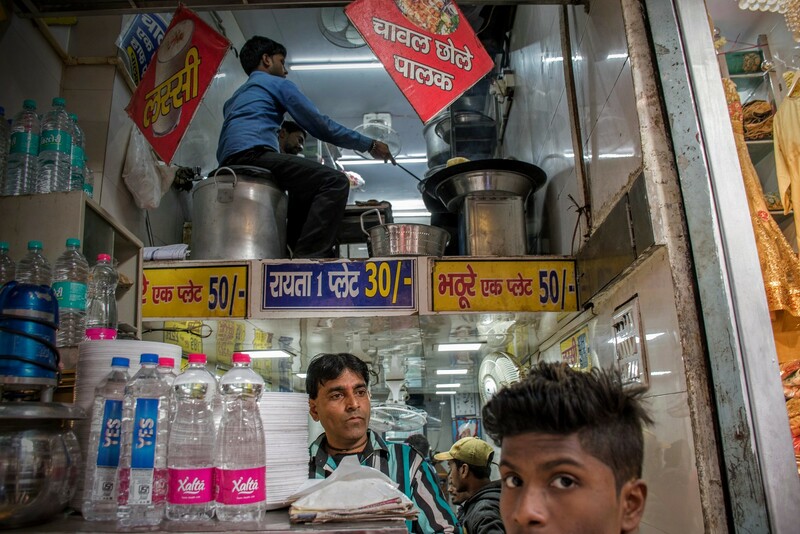 My Flickr contact David Pham took this amazing picture of a restaurant with the kitchen on top in Old Delhi, Delhi, India. Brilliant catch with the faces up front. 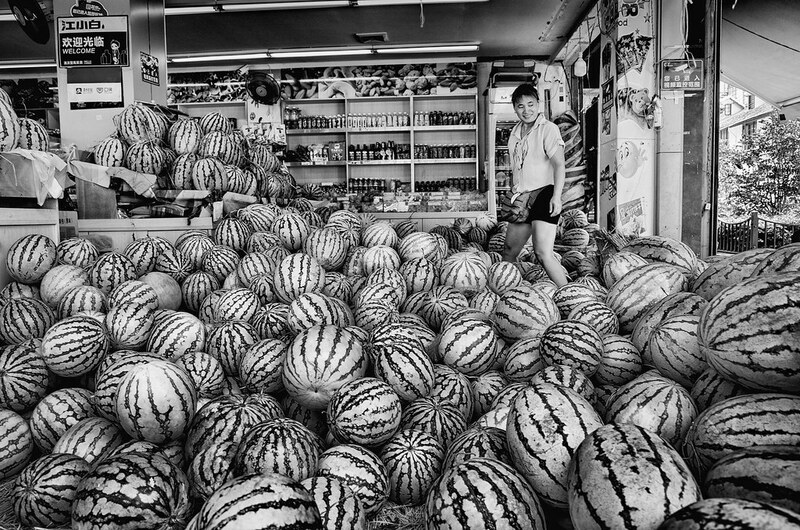 My Flickr contact rainy day posted this terrific image of a shop loaded with melons in Shanghai, China. 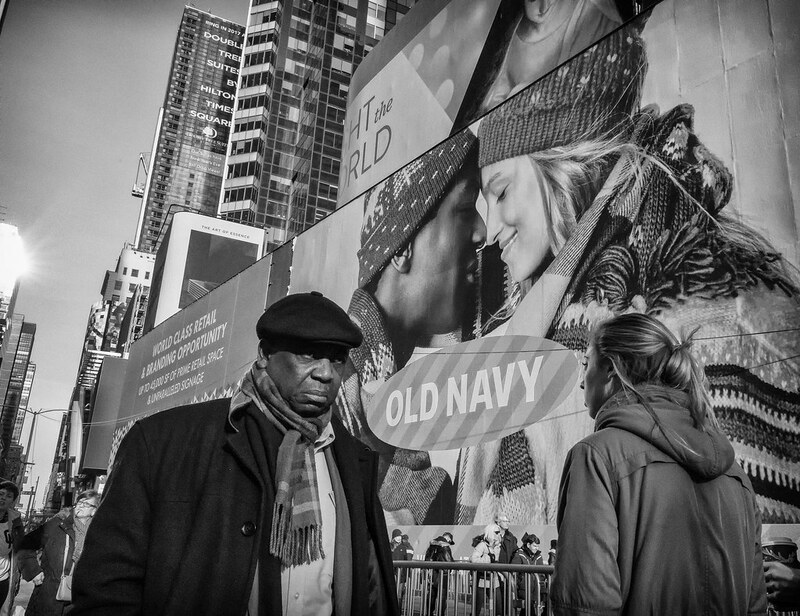 My flickr contact Roy Savoy took this perfectly timed image of two people passing in front of an Old Navy billboard in Times Square, New York with his Ricoh GR II. 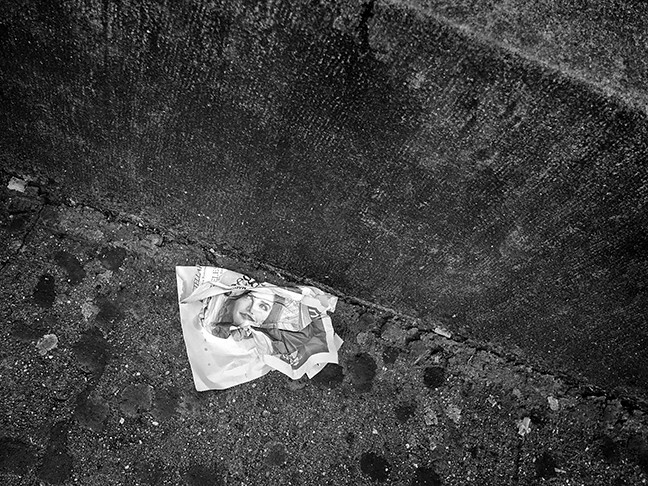 My flickr contact Keith Goldstein took this picture of a crumpled piece of paper on a sidewalk in Manhattan (NY) with a face on it. For me, what’s great about this image is that it’s probably an advertisement but the face is a real person with a story (even the ad has a story) and here it is on a discarded piece of paper on the ground in a city where most people will step over it (or on it). That face is a real person with a life, even if she’s a model for an ad agency. The fact that the wall and sidewalk are grimy and that the paper is white helps the effect of a face peering through a wormhole in time. I’m not really sure what makes all of this work for me but it does. 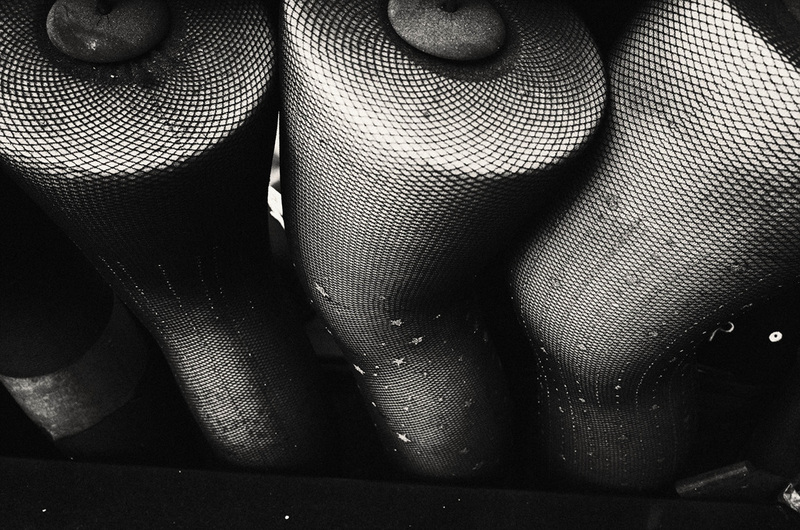 My flickr contact youngjun uun posted this fantastic image of mannequin legs with fishnet stockings on them taken with a Ricoh GR. 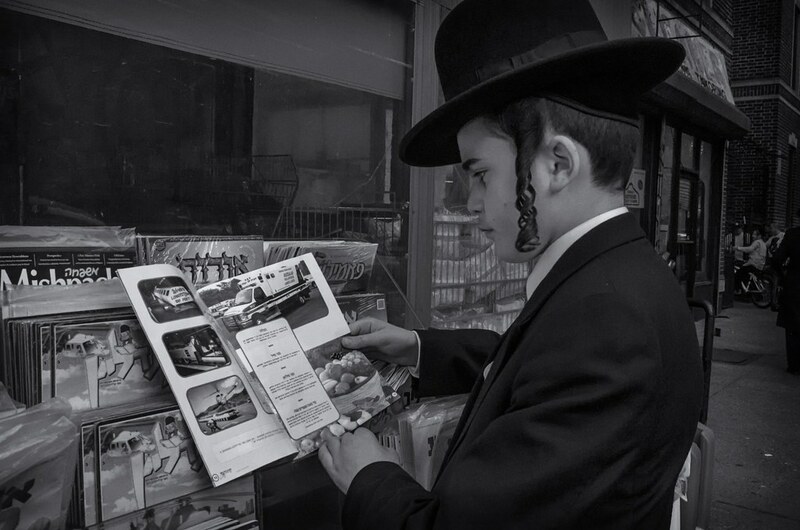 A young Hasidic boy reading a magazine on Bedford, Avenue. Note the payot (pronounced “payos” the Hebrew word for sidecurl). 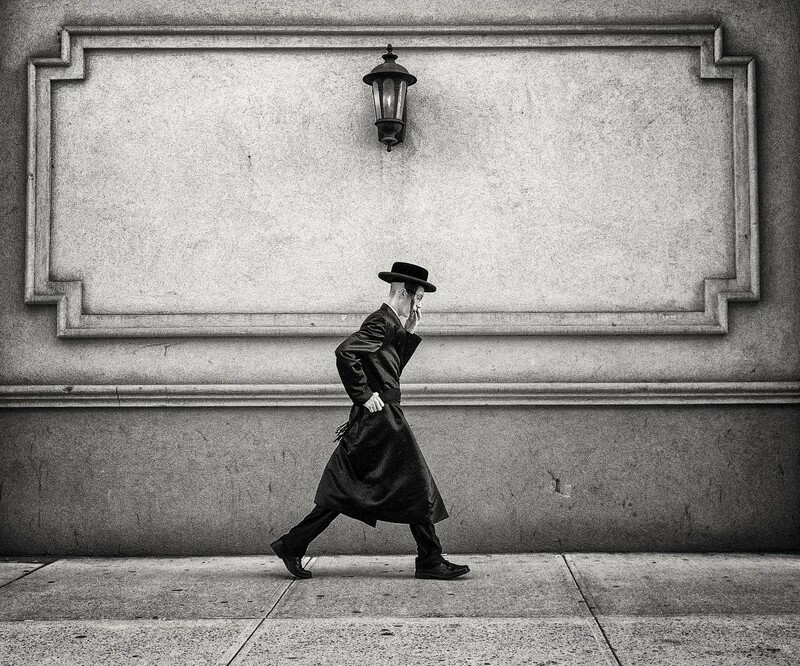 My flickr contact Roy Savoy took these great images of Hasidic Jews in the Williamsburg section of Brooklyn, New York with his Ricoh GR II. 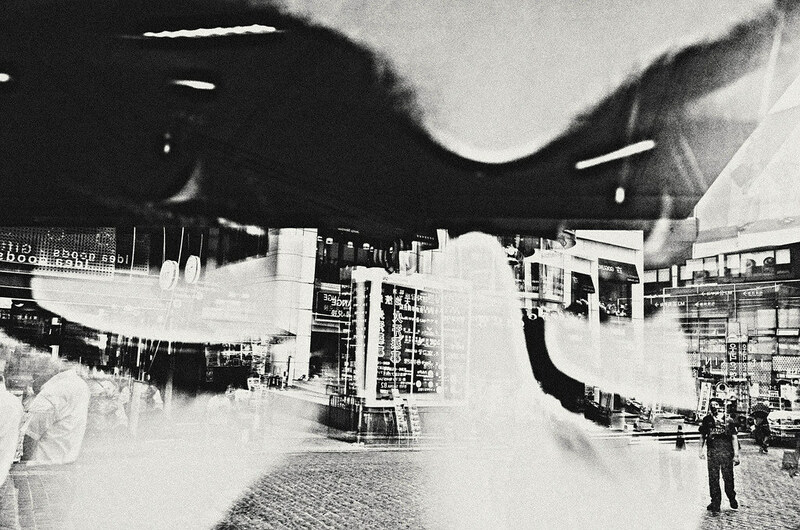 Two Hasidic boys on their bike with another reality in the background. 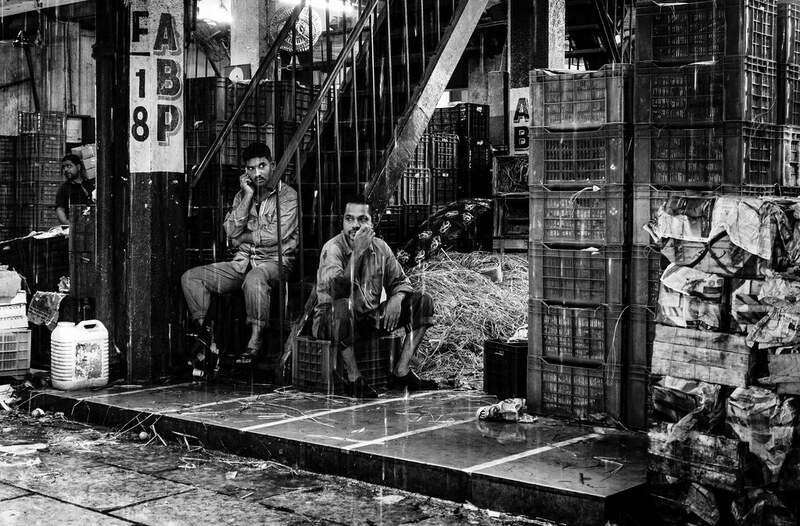 Brilliant image. 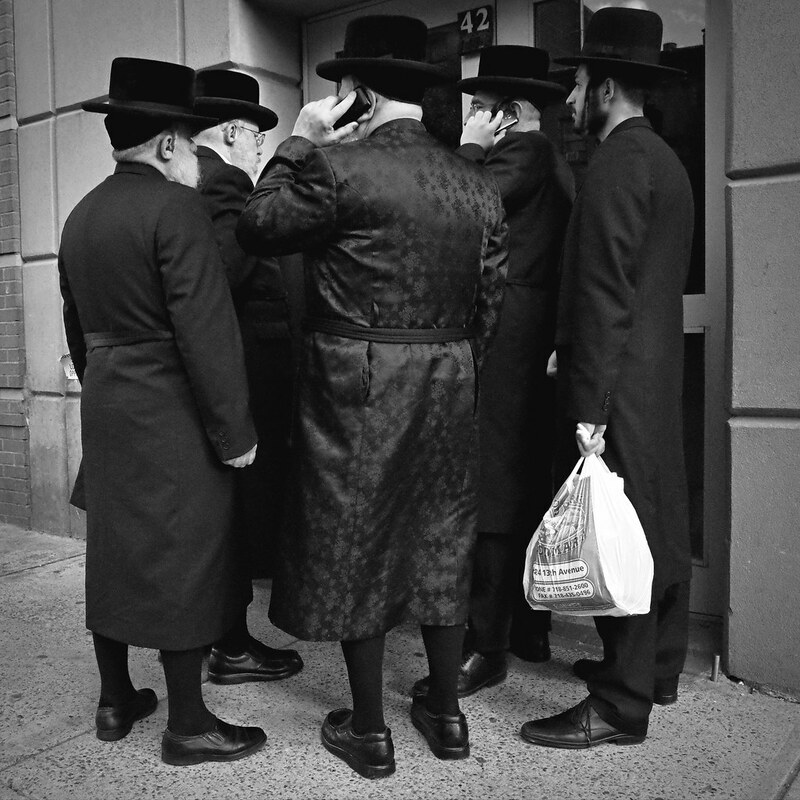 A confab of Hasidic men, two on cell phones. 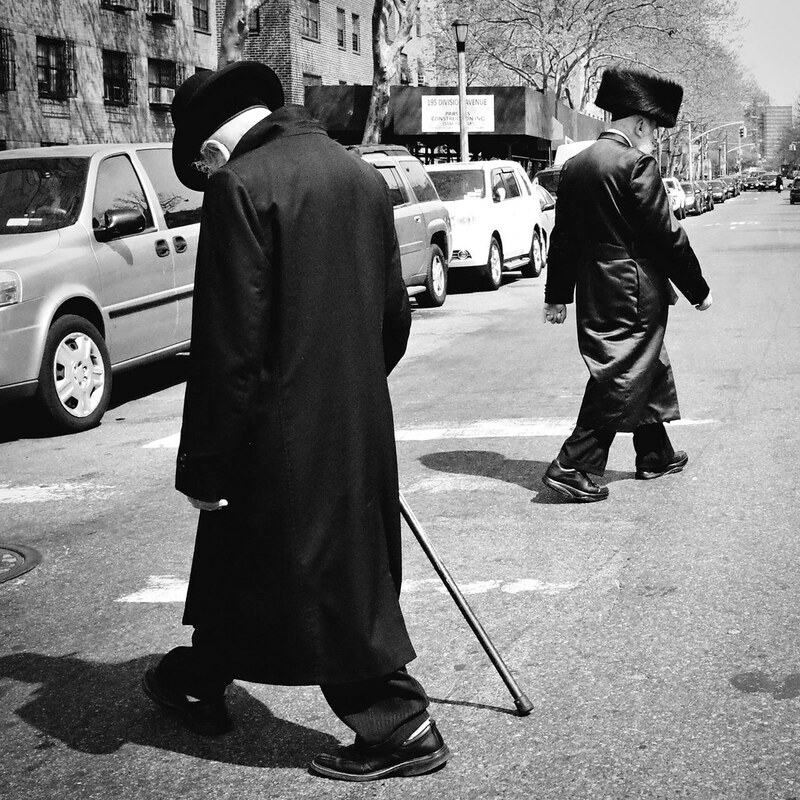 Two Hasidic men, one with an amazing hat.